Components are sub-projects below the top-level project. 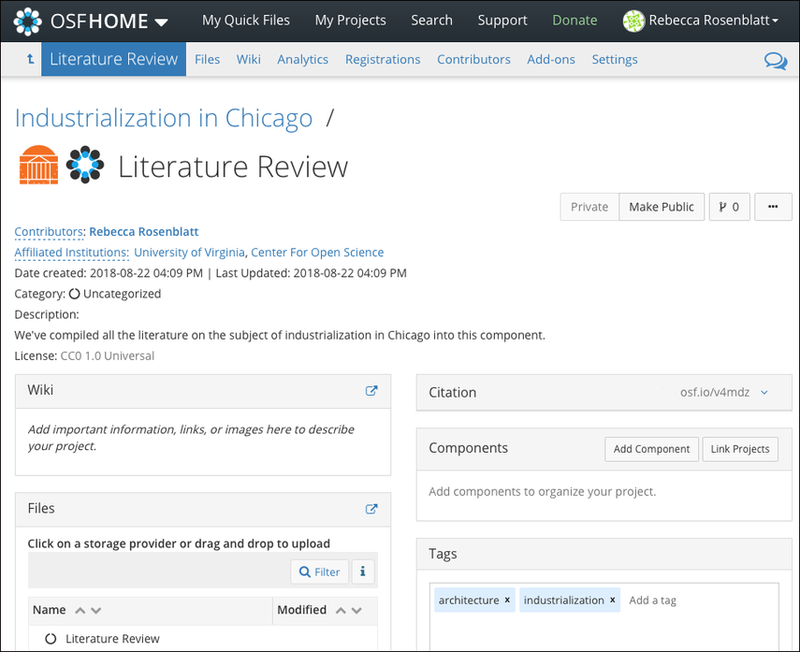 Components help organize your research and create hierarchy within your parent project. A component's privacy settings, contributors, tags, wikis, add-ons, and files are separate from the parent project. If you choose, components can inherit the contributors and tags of a parent project (see below). 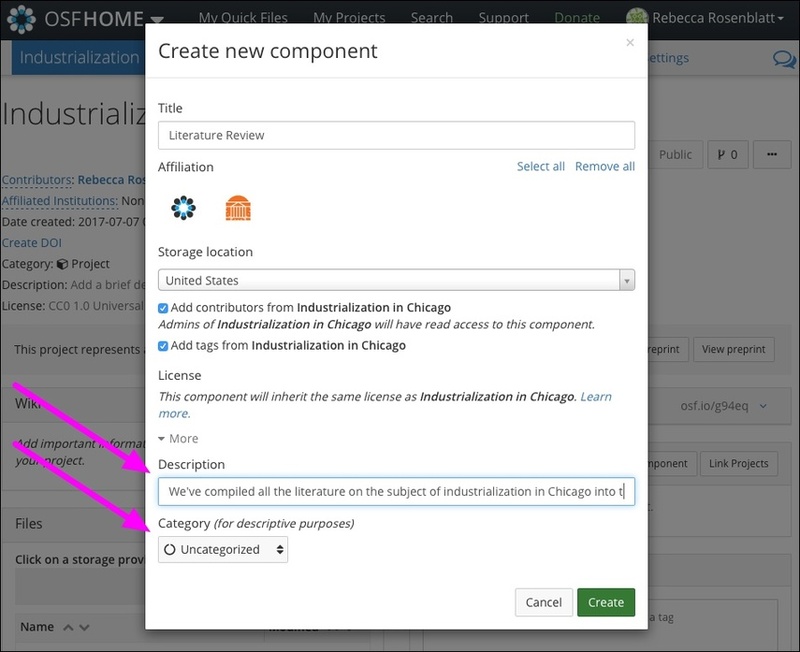 First, open the project to which you want to add a component. You will be taken to your "Project Overview" page. 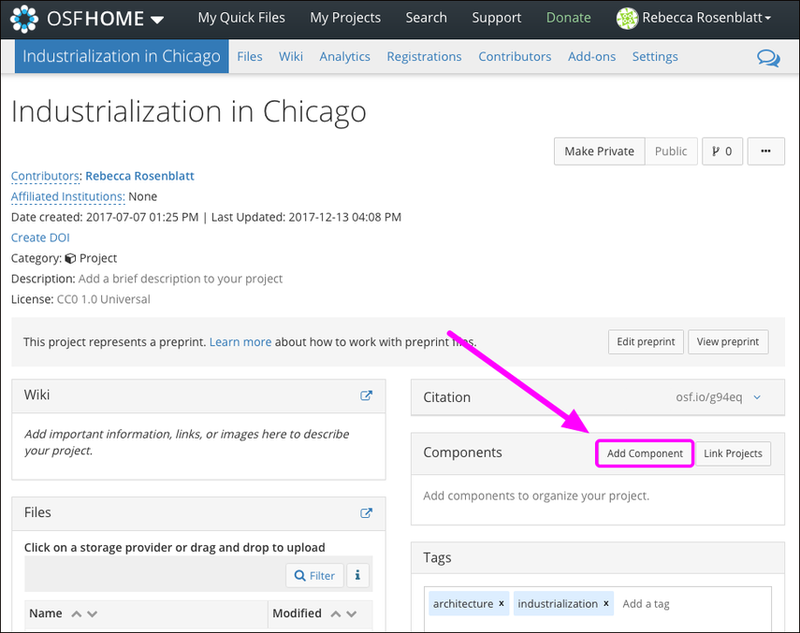 On your "Project Overview" page, click the Add Component button. 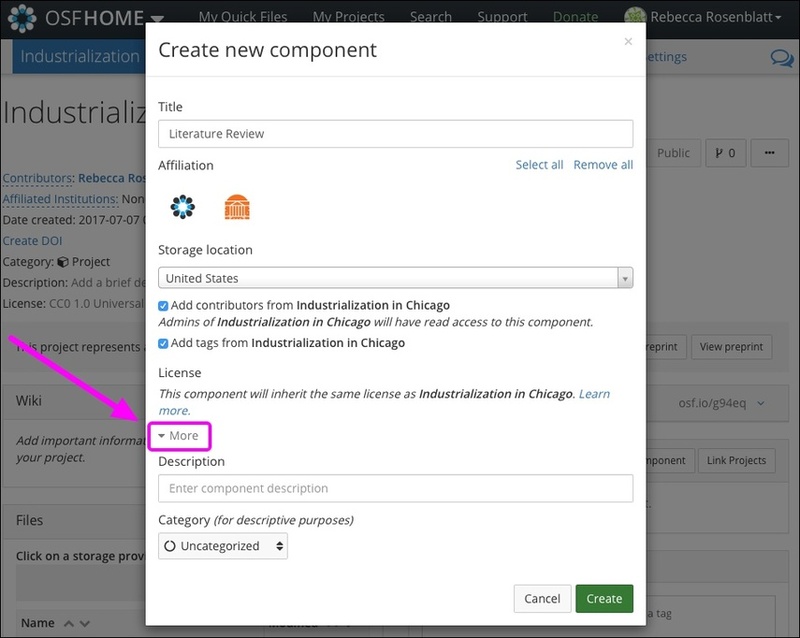 The "Create new component" modal will appear. Enter a title for your component into the "Title" field. If you have signed in to OSF through an institutional portal, newly created projects will be affiliated with the institution by default. The institutions associated with your OSF account will be selected by default. 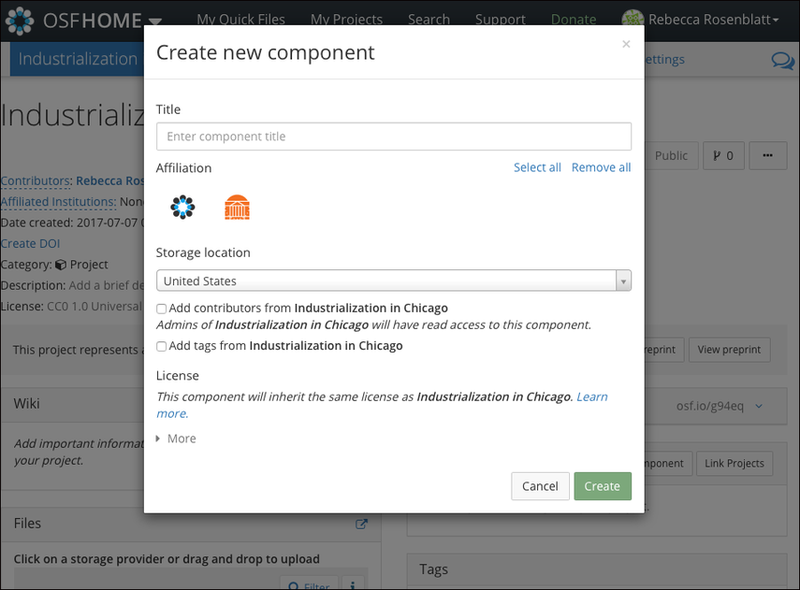 Deselect the institution to create your project without the affiliation. 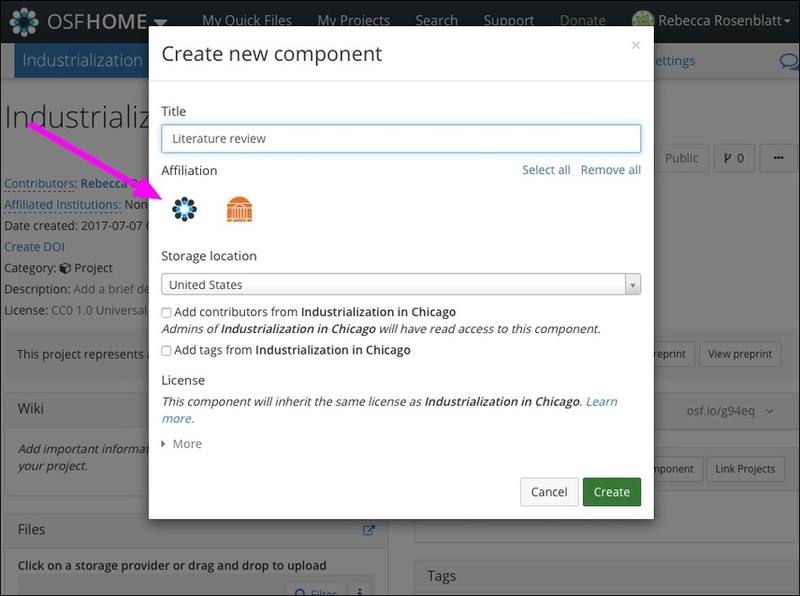 To add contributors and tags from the parent project to the component, check the corresponding boxes. Click the More button, and a drop-down section will appear. 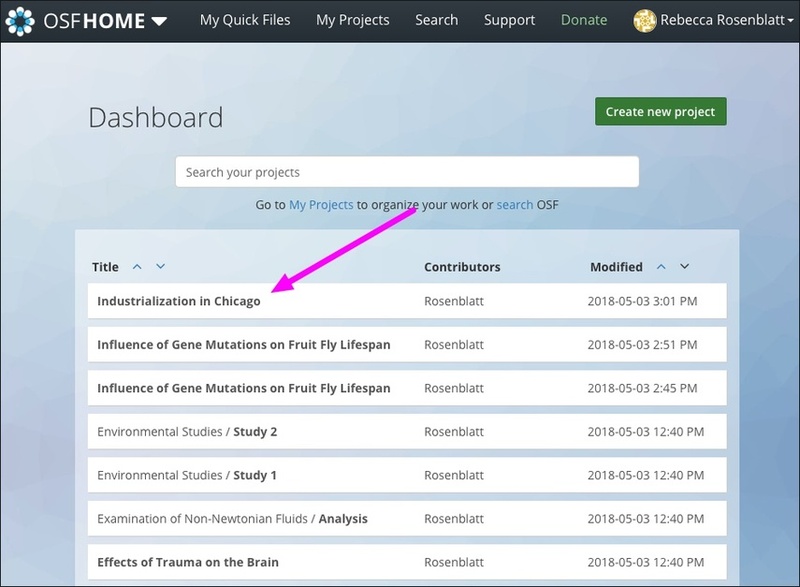 Enter a summary of your project into the "Description" field. Select a category from the menu - "Uncategorized" will be selected by default. Your component will be created. 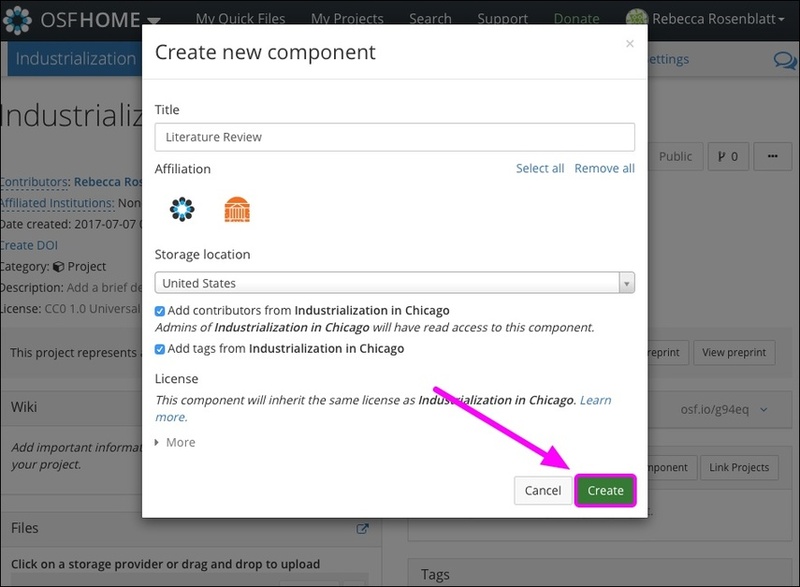 Click the Go to new component button in the modal to navigate to your "Component Overview" page. Like the project "Overview" page, the component "Overview" page is the main view of your component. You can add sub-components to the component to create a more nested hierarchy.